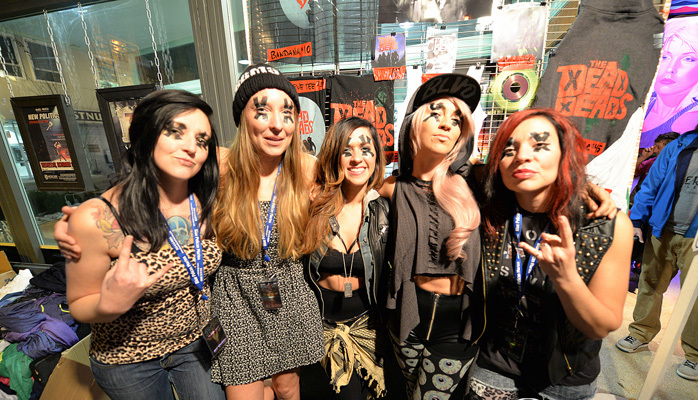 This is The Dead Deads. Notice all the vocalist credits. Five women who can harmonize raises the level of The Dead Deads. The bands sound is a pleasant amalgam of 90’s indie rock, wrapped in a punk rock shell, delivered straight out of the garage and sounding all the better for it. Immediately accessible, but offering more than a few surprises within their crunchy fun approach. Somehow, they found the middle between the Melvins and The Foo Fighters and nods to the Breeders are hard to miss. The band is comprised of girls who have already made some noise with groups like, The Wolf Sisters, PRIM! and Catfight. 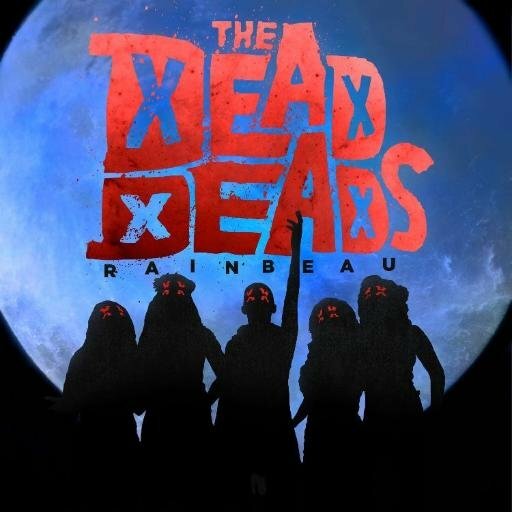 Formed in 2013, their full length, “Rainbeau” was recorded and released last November 2014. A tour with Halestorm helped break the band to a wider audience, but they are still a ‘secret’… for now. The whole album has a decent amount of range, while sticking to the idea of compact punk rock song nuggets. It’s a good trick to be painting with familiar sounds, yet end up with something that feels fresh. The band is currently working on a new full length, but plan a teaser EP summer 2015. Their best gig will be September 2016 on Motorhead’s Motorboat lineup. If you have a few thousand to spare on a vacation with Motorhead… you can catch these girls on that boat as well. “Rainbeau”… title track from the full length. No video… but great song.